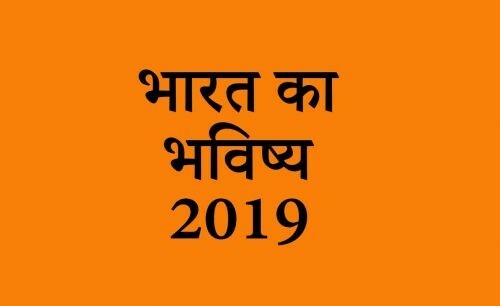 Now here , the year 2019 is in the focus about India, when multi sections of society are likely to present a scattered political picture. A kind of political hysteria catering to varying vested interests looks to be coming up. But thrust or more appeal seems to be for aspirations having universal fairness, upright spirit and national fervor. Such a party or person looks to be coming to the center stage and gather popular support, for sovereign power in coming year 2019. Trading policies may undergo drastic changes. Whether or not such changes would yield targetted objective depends upon correctness of the policy changes. So need would be to bring about changes after due deliberations. These nearly two months appear to be calling for more care and appropriate strategy in relation to more than one front. Be on guard against war or war like postures of China and Pakistan. It may be alright to be alert while dealing with or storing or handling fire, gas, chemicals, venom, explosives, hydro-power or energy sources. Similar alertness may be exercised while driving on road, rail or air. Some major accidents on road-rail-air or landslides cannot be ruled out. Human-malice may be at its height in operation. Some sort of crisis or worrisome concerns in financial and economic sector look to be there. Health concerns having something to do with eyes, brain and blood formation in the body may cause worry. Weakening of immunity system in the body may be such deliberated upon. All that is associated with the sovereign power of the State appears to be on the centre-stage. Justice delivery system or judiciary may also be in the focus. Religious or spiritual activism may be in news. Earthquake jolts can come. Take appropriate precautions. States in the Northern India like HP, J & K, Uttarakhand, Delhi, Rajasthan or nearby in the North and in the South, Telegana, Andhra Pradesh and nearby could take cues for more care and appropriate strategy in the aforesaid areas of life. These three months may also call for more care against floods, landslide, etc. Over reaction may not drag us to war or wastage. Distribution of central finances could be disputed by a State or States and taken to the court. Liabilities or restrictive complexion of the past policies may weigh heavily on the success or completion of the ongoing ambitions projects, particularly those related to energy generation. Positive aspect is that well meaning group or persons may spring up to share power in Indian mainstream of politics or well-meaning powerful nations may support India. KUSHAL KUMAR, Panchkula, Haryaya. Hailing from Sansal of District Kangra of Himachal Pradesh State of India, Kushal Kumar is presently a resident of Panchkula in Haryana State of India. His articles have also been published by World’s such leading astrological magazines as The Mountain Astrologer (TMA) from California and Dell Horoscope from New York. His master-work spiritual themes have also been brought out by leading magazines.